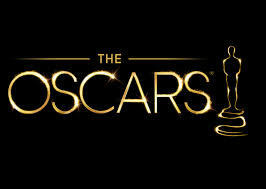 The 2015 87th Academy Awards was held last night at the Dolby Theatre with some amazing red carpet fashions and performances by Rita Ora, Tim McGraw, Lady Gaga, and John Legend. There were some bold, gorgeous, and unique dresses worn by the hottest celebrities and actresses. Showcasing long, flowy, sheer, lace gowns featuring deep front v’s, slits, and intricate details. Some of my favorites were Jennifer Aniston, Emma Stone, Giuliana Rancic, Jenna Dewan Tatum, Zoe Saldana, and Rosamund Pike. One of the boldest gowns of the night was Lupita Nyong’o which had 6,000 pearls carefully sewn into it, which was stunning! There appeared to be an elegant, sophisticated, yet glamourous theme to the evening attire. In the beauty department there were neutral faces with bold lips in reds or plums. Hairstyles were swept into updos to really highlight the shape of the luxurious dresses. These actresses set the bar for the latest styles and fashion-forward trends for the current year. Their style reflects, influences, and inspires designers, consumers, and retail industries.